Vanity Fair notes that the "affectionate but awkward" reunion between Sansa and Arya (followed by a meetup with Bran) was the "most important yet" and that the show "nailed it." 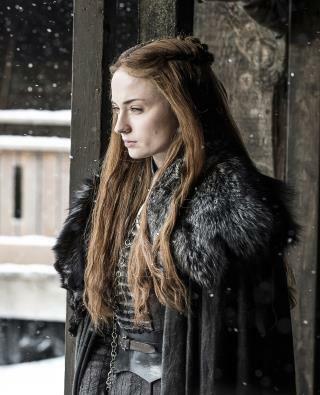 That's because of the "tense, emotional subtext" running through every scene—including the girls' backstory (they shared a lot of previous screen time together, making their reunion feel "earned"), a touch of jealousy and fear on Sansa's part, and the fact that the sisters "had so little in common as kids and don't yet know each other as adults." The fourth installment of the season was "the best episode yet," per Rolling Stone, which offers a detailed recap. At the top of the agenda: the (literally) scorched-earth conflict between Jaime Lannister's forces and those of Daenerys Targaryen, her dragon, and the Dothraki, in which "irresolvable conflicts get cranked up to an even more unbearable level." This episode-ending battle doesn't disappoint, with "shout-at-the-screen, cower-on-your-couch moments" that Game of Thrones fans live for. Over at io9, no time is wasted: Viewers jump right into a crowdsourced discussion about that "jaw-dropping ending." Vox agrees this episode was a triumph and pulls together a list of winners and losers—except this time around, there are no losers. At the top of the winners' list: an even creepier Bran Stark, Daenerys and Co. for "setting everything on fire," and this week's biggest winner, "the American viewing public." Mashable plumbs a little deeper into the mysterious paintings deep within the dragonglass caves. There's a reason they may have looked familiar (an HBO "Inside the Episode" clip delves into it as well). And the Verge explains the reemergence of a long-lost dagger, just another example of the show's meticulous attention to detail. Last night's episode was super popping. I invited a bunch of my homies over to watch because they we're totally disinterested before I broke it down to them a few weeks back. Now they're absolutely hooked. When you explain this show to people who never seen it before you have to frame it in context that they can understand, for my peoples I just simply told them that the entire show is based on white on white violence. They've been hooked ever since. meh. it was one of the most anti climatic episodes yet.